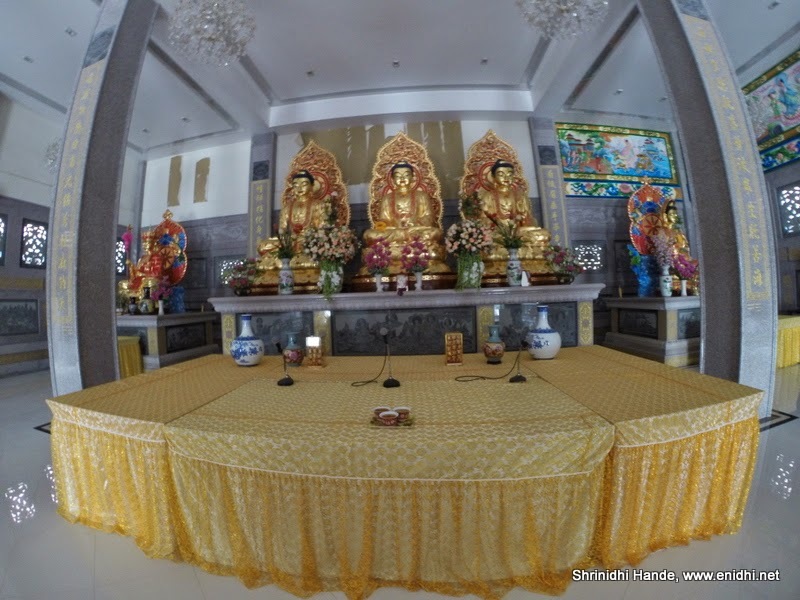 During my 2012 visit, we had spent some time clicking photographs of this Kuang Im Chapel, on the banks of River Kwai in Thailand [Details here]. That time, the chappel doors were closed so we couldn't go inside. This time, we noticed that Kuang Im Chapel premises have been made more secure with walls around, and specific entry timings imposed (opens at 8.30 AM) and some new constructions in the premises. 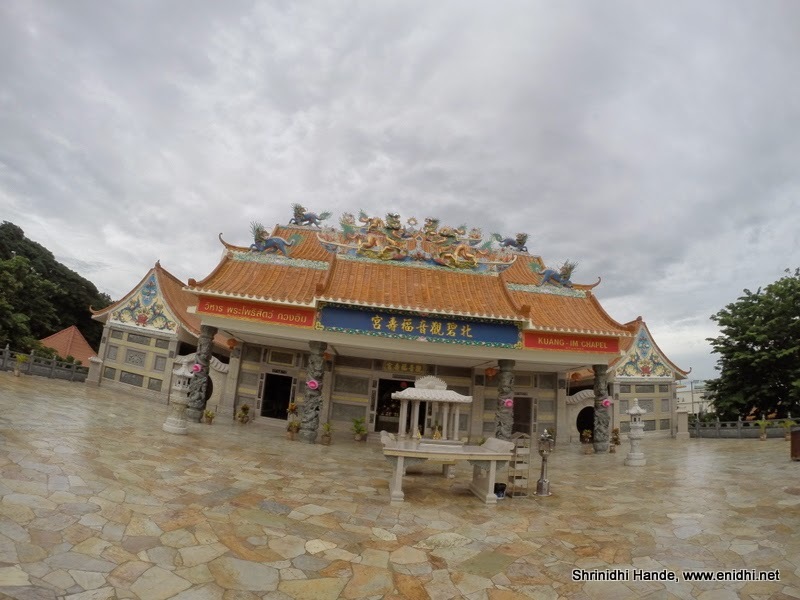 While we were earlier made to believe that this is some Chinese temple, it proved to be otherwise. Though it has lots of dragons, letters and other structures resembling Chinese influence, inside are 3 Buddha statues (similar to what I had seen in Coorg's Bylukuppe monastery). So essentially this is a Buddha temple . Not much history seem to be available about this temple. I am leaving you with some photographs to help you take a closer look. 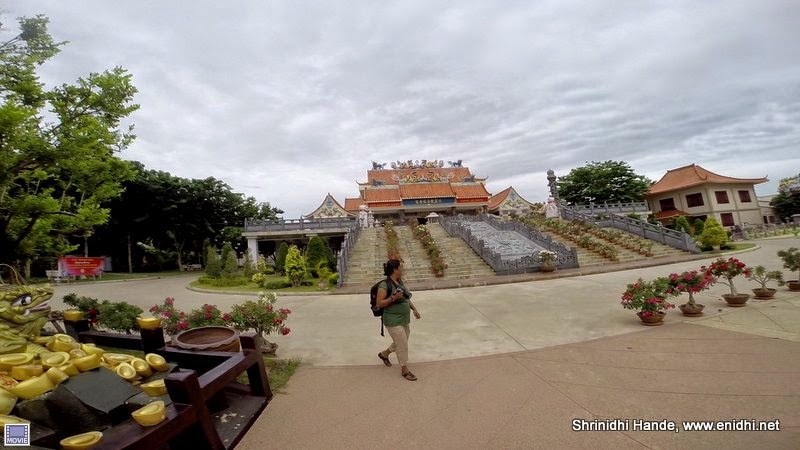 It is certainly worth spending few mins around this temple when visiting river Kwai bridge.